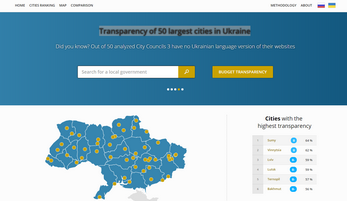 The project goal is to increase transparency and support implementation of anti-corruption measures in state-owned companies and local governments in Ukraine. Informed citizens and corruption-resistant public authorities are basic conditions for higher efficiency of the state, higher engagement of citizens and better democracy. 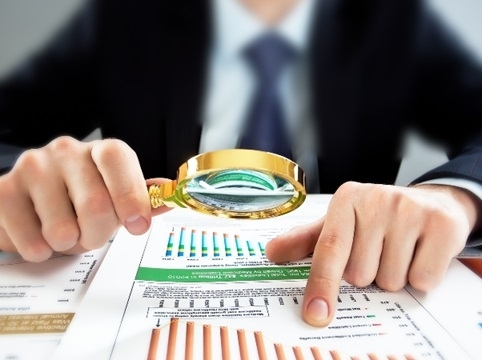 The project is based on transfer of know-how of unique and successful projects implemented in Slovakia focused on monitoring and expert assessment of local socio-economic measures, as well as on easy-to-understand informing about transparency and financial stability of state-owned companies and local authorities. The project “Coalition of Regional Civil Society Organizations for Public Finance Control” is being carried out by the International Center for Policy Studies (ICPS) with the support of the Embassy of the Kingdom of the Netherlands in Ukraine. 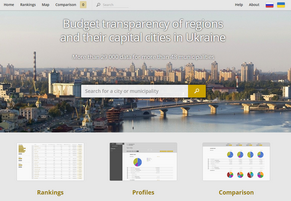 The project`s goal is to foster citizen participation in public finance control (PFC) at the local level through developing investigative capabilities of local activists in Ukraine. It intends to develop further investigative capabilities of local activists via support in conducting individual and group anti-corruption investigations. The project participants will act as “watchdog leaders” network, while sharing their experience and training investigative skills of the newcomers. They will obtain experience of conducting complex investigations, and will master teamwork and coordination skills. This will enhance the investigator`s capacities to further work independently at the regional level and to share their experience on lower levels. Thus, the project will strengthen good governance policies in Ukraine through the project contribution into the fight against corruption, increasing transparency of local governments through civil society control and social pressure. 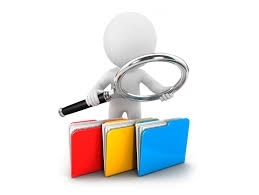 The investigation will be conducted in the following regions: Dnipropetrovsk, Zhytomyr, Transcarpathian, Kyiv, Kirovograd, Lviv, Odessa, Sumy, Kharkiv, Khmelnytsky, Cherkasy, Chernivtsi. The International Centre for Policy Studies (ICPS) with the support of the International Visegrad Fund initiates the project “Ukraine and V4 countries: promoting better understanding”. The crisis in relations between Ukraine and its Western neighboring states became one of the main developments in 2017 and testified the crisis of both Ukrainian foreign policy identity in general and Ukrainian neighborhood policy in particular. The Ukrainian-Hungarian, Ukrainian-Polish contradictions are only a reflection of the deep-seated crisis of good-neighborliness, while problems in bilateral relations have wider and deeper dimensions. One of the key challenges faced by the region is the urgent analysis of relations between Ukraine and its V4 neighbors and elaboration of policy recommendations to prevent their further deterioration. Ukraine should rethink its foreign policy goals and priorities, considering current internal and external challenges and dynamic processes. Establishment of an expert dialogue between Ukraine and its V4 neighbors can become an impetus for such a process. facilitating transformation of the current lose-lose situation to a win-win partnership. Current situation poses a regional challenge needed to be addressed by a new approach on good neighborliness. Establishment of continuous communication and dialogue among experts from Ukraine on one side, and experts from Hungary, Slovak Republic and Poland from the other, would contribute to increasing awareness on the logic of internal process in abovementioned countries, researching the contradictions in the countries’ relations, and elaborating new approaches towards advantageous and pragmatic bilateral relations. Ensuring good and sustainable neighborhood relations between Ukraine and its Western neighboring countries is crucial for regional stability with a view of the existing security threats and challenges in the region. Elaboration of a new updated approach towards the relations between Ukraine and its V4 neighbors is necessary to improve and strengthen regional partnership and prevent the occurrence of new contradictions in the future. Escalation of contradictions between the neighboring countries has a direct impact on the security and cooperation in the region, while strengthening of regional cooperation at the expert level will facilitate the process of regional cohesion as well as promoting V4 values in the region contributing to the Ukrainian democratic transformation. Kyiv vs Budapest: What's going on in Ukrainian-Hungarian relations? UKRAINE-SLOVAKIA RELATIONS: DEVELOPING A TRUE STRATEGIC PARTNERSHIP? The International Center for Policy Studies (ICPS) together with the United Nations Development Program in Ukraine initiates a communication campaign #RespectUA on promotion of tolerance and mutual understanding in the society. The aim of the project is to reduce the polarization and strengthen dialogue among various social groups. Within the framework of the project it is planned to establish the UNDP Tolerance Envoys concept in Ukraine to promote the values of tolerance and mutual understanding. Multi-level communication in the society regarding this issue should belong to moral leaders, opinion-makers and those Ukrainians, who have gained recognition in various fields. The project activities cover the conduction of a series of events: public lectures for socially active groups in different regions of Ukraine on promotion and establishment of principles of mutual respect, practices of tolerance and acceptance of different opinions in the Ukrainian society. 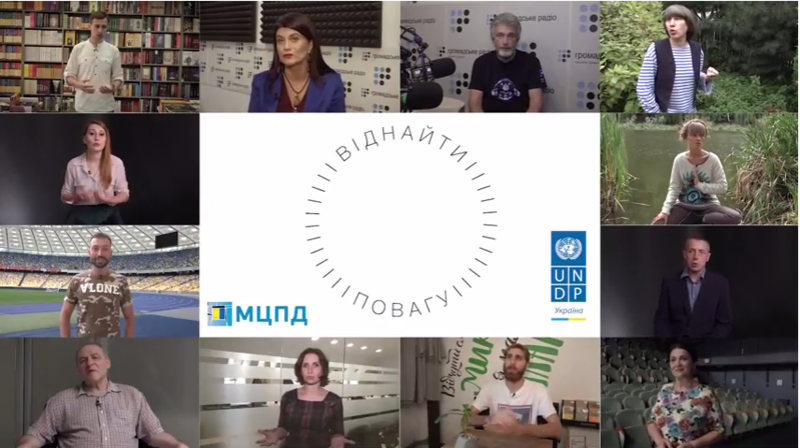 Since 2017, 12 well-known Ukrainians have become UNDP Tolerance Envoys, raising awareness of the issue of equality in Ukraine, not only within conventions, not only in human rights protection, but also in other areas of life, such as music, the environment, the media, theatre, sports, art and literature. Because the language of culture is the language of equality, these languages are in turn the languages of peacebuilding. UNDP Tolerance Envoys had to become investigators: to identify the causes of intolerance and find traumatic stereotypes and phobias. They have also worked as mediators and peacekeepers: influencing the development of a culture and tradition of mutual understanding and respect, reducing the polarization of public sentiments and advocating for the strengthening of dialogue in Ukrainian society. The communication campaign on tolerance promotion in Ukrainian society, which was initiated by the United Nations Development Programme (UNDP) in Ukraine confirmed the need to establish dialogue between various social groups on urgent and sometimes challenging issues. Numerous meetings led by Envoys in Kyiv and the regions of Ukraine have confirmed that discussions about the future, without forgetting the past, and discussions about a common vision for the country's progress can be an effective mechanism to reduce aggression and intolerance. Ukrainian society critically needs effective communication on important issues such as intolerance and the threat it poses to the country's development, the interconnection between tolerance and security, and the importance for the future of a comprehensive and large-scale national dialogue. Can a team of energetic, well rounded and hardworking people do it? Perhaps. Can anything be changed in a year? Probably. But more good things should be done over time. That’s why there are newcomers in the envoys’ team. During the next campaign phase in 2018-2020, the replenished team will focus on developing a regional network of leaders who will become promoters of the values of tolerance, respect and mutual understanding, as well as human rights, at regional level in Ukraine. Interaction between the national-level envoys and the leaders of the regional network is intended to provide effective communication for such issues as respect for human rights and freedoms, social cohesion and dialogue in the regions of Ukraine. In addition to the establishment of the regional network of leaders for tolerance promotion, a series of art, literature and sporting events are planned to be held as part of the campaign to attract as many people from different social groups as possible. Every voice counts. Every thought and every opinion. Learning to hear each other is the first step towards find respect. To learn to speak in a way that all voices sound harmonious is the next step. To learn to talk about painful topics so that they are a conversation and not a scream or a denial is yet another step forward. Come together! We will listen, speak, move and create. This way it will be easier to feel the value, necessity and uniqueness of every person. Real respect for the value of diversity and the indisputable equality of each and every person.